As stylish as it is durable, this sink by Valley makes a terrific addition to any bathroom. Its tough metal design can withstand years of everyday use, maintaining a stylish appearance. You'll be glad you chose this top-grade sink for your next home improvement project. With its gently curved, organic shape, the Iron Plains sink combines distinctive style with the extreme durability, strength, and vintage soul of KOHLER enameled cast iron. This vessel sink features a dual-color design that lets you choose your own combination of top enamel color and underside paint color for the perfect look. A delicate swirl pattern encircles the Turnings vessel sink, resembling the look of a potter's throw marks, which lends this unique basin a handcrafted appearance. Vessel sinks are reminiscent of china washbasins, with finished interior and exterior walls. With a durable glaze to ensure lasting beauty, this Turnings basin makes a sophisticated and practical addition to your bathroom. 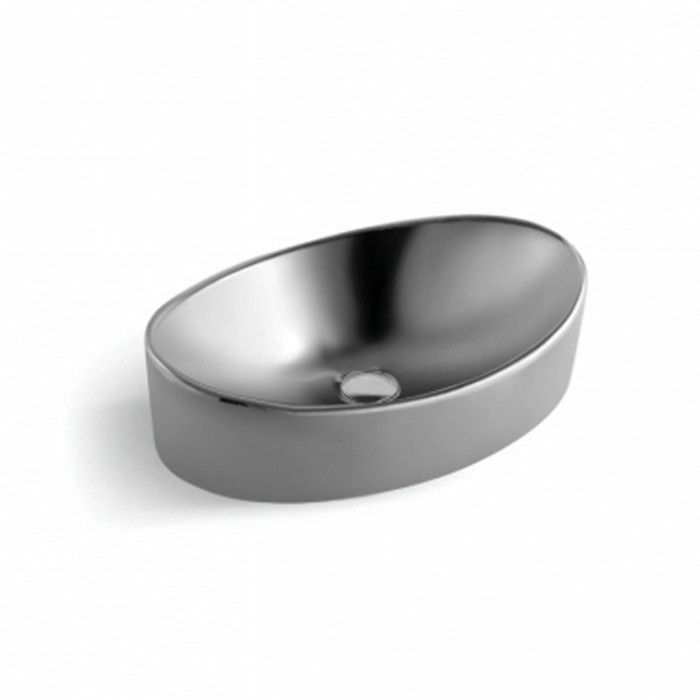 Give your bathroom a quality upgrade with this elegant, durable vessel sink from Kraus. Thanks to its sturdy glass construction, this sink will maintain is stylish appearance through all kinds of everyday wear and tear. Perfect for all kinds of bathroom styles, this sink is fantastic choice for your next home improvement project. From the expert craftsmen at Kraus, this vessel sink combines timeless style and modern efficiency into an elegant unit. You'll have no problem maintaining this stylish unit, made with ultra-durable glass. Improve the overall look and utility of any bathroom during your next home renovation project with this sink. Sorento 20.6-inch x 5.6-inch x 13.3-inch Oval Metal Bathroom Sink As stylish as it is durable, this sink by Valley makes a terrific addition to any bathroom. Its tough metal design can withstand years of everyday use, maintaining a stylish appearance. You'll be glad you chose this top-grade sink for your next home improvement project.